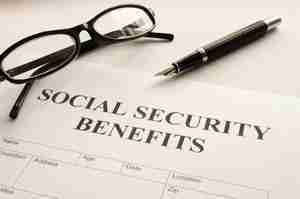 Crippling Depression or Anxiety | Is It Time for Social Security Disability Bennies? Come one, come all! I love bringing you guest posts. 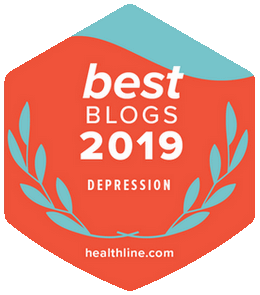 So if you’d like me to post your article on living with depression, how to beat anxiety, or anything having to do with the mood and anxiety disorders drop me a line. Ram Meyyappan from Social Security Disability Help did just that, asking if he could present on Chipur. I “O.K.’d,” and here’s what he has to say pertaining to disability benefits for those enduring severe depression and anxiety. Oh, before we get started – Ram, no doubt, provides a service for which I’m sure he somehow gets compensated. That said, I haven’t accepted a penny for posting Ram’s piece. Not the way we do things here. Good? Depression and anxiety often go hand in hand, and the powerful combination of these two medical conditions can make it impossible to maintain employment. While more minor forms of depression and anxiety cannot qualify you to receive Social Security Disability (SSD) benefits, more serious forms can. You may be able to receive disability benefits through two programs from the Social Security Administration (SSA): Social Security Disability Insurance (SSDI) and Supplemental Security Income (SSI). Both programs require you to have a long-lasting medical condition that prevents you from maintaining gainful employment. What distinguishes the two programs is that SSDI requires you to have work credits built up from your employment history. SSI is a need-based program that has no work credit requirement, but does have strict income and financial resource limitations. Learn more about SSDI and SSI. Here’s where to go on our site to learn more about applying for benefits with depression. The severity level of the limitations your anxiety imposes on you can also be proven through showing you are unable to function without assistance when outside of your own home. Here’s where to go on our site to learn more about applying for benefits with anxiety. It is important to note that just one or the other of your medical conditions may qualify you for benefits, though the SSA does take concurrent conditions, and their respective effects and limitations, into account when reviewing disability claims. You can apply for SSD benefits online at the SSA’s website, or in person at your local SSA office. If you decide to apply in person, be sure to schedule your appointment in advance by calling 800-772-1213. You should collect as much evidence of your medical disability as possible prior to filing your claim and ensure you provide thorough medical records and other documentation to the SSA at the time you apply. Seek assistance if you need to from either a Social Security advocate or attorney that is familiar with handling claims based on mental illnesses. Be patient once you submit your claim, as the review process can take a number of months. If you are denied benefits the first time around, make sure you file timely appeals to continue trying to get the financial support you need. Alrighty, then – thank you Ram for the detailed and helpful information. 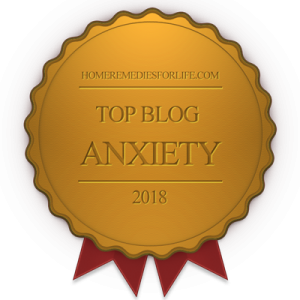 I sure hope it isn’t the case; however, if you’ve been living with depression or struggling with how to beat anxiety – and you’re no longer able to work – you have options. Certainly, applying for Social Security Disability benefits is one. Here it is – the place where you can peruse the titles of 550+ Chipur articles. Have at ’em! Next Post: D-cycloserine | Is an Antibiotic the Glue That Makes Therapy Stick?